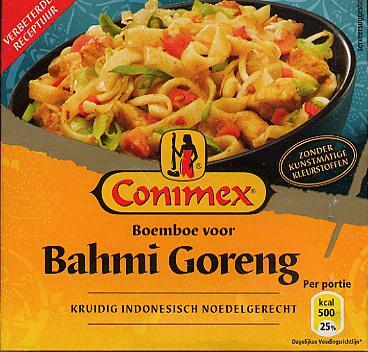 Conimex Tub 02 Bahmi Goreng Mix Bami Tub - Conimex - The Dutch Shop LLC your store for Dutch groceries. A paste mix is a concentrated mix of spices from Indonesia, made of finely ground spices and seasoning. A paste mix is a convenient way of adding flavor, aroma and color to your dishes. This paste mix for Bahmi Goreng enables you to prepare the most popular Indonesian noodle dish. vegetable oil, onion, water, ginger, salt, vinegar, garlic, sugar, vegetable bouillon flavor, natural mineral salt, soy sauce (malto dextrin, salt, lactic acid, water), malto dextrin, monosodium glutamate, tomato puree, modified corn starch, hydrogenated vegetable oil, galangel root, tumeric, lemon grass, cumin, trassi(pawn extract), potassium sorbate. 14 oz / 400g of diced pork or chicken breast. Add the paste mix and 2fl oz 50ml of water while stirring. Add the cooked noodles and stir very well. Serve the Bahmi Goreng with Sambal and Ketjap Manis to taste. Replace the meat with diced ham and a fried omeletteof 2 eggs, cut into strips. 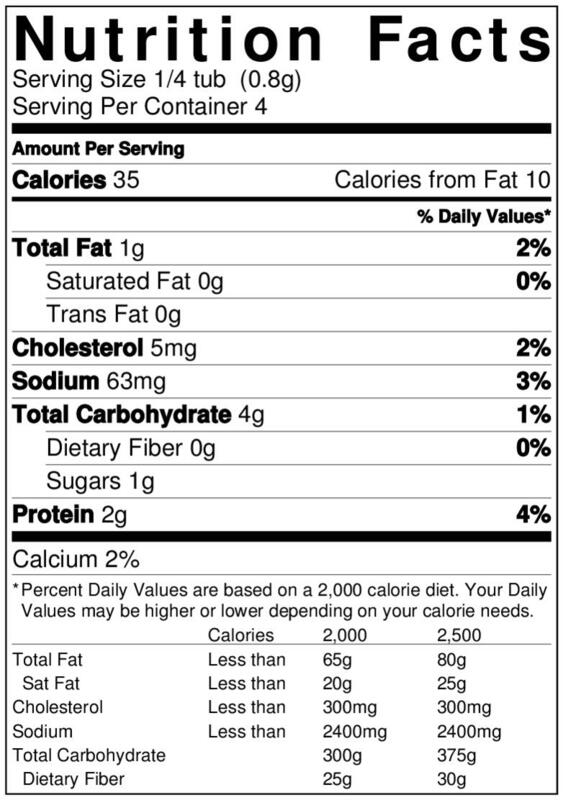 Contains wheat, shell fish, and soy bean products. After opening, store in the fridge and use within 3 days.